When a photo or picture is deleted from storage device or emptied from Recycle Bin, it is not totally removed from storage device. In fact, it is only marked as "Deleted" and disk space it occupied is tagged as "Free" so that the space can be used to store new data. Therefore, deleted photo still stays on storage device being invisible to system before it is overwritten by new data. 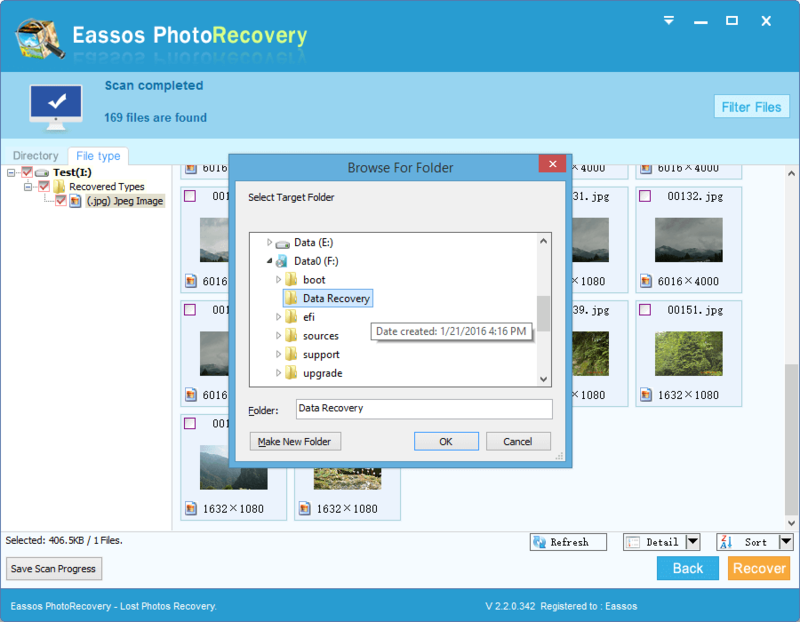 Photo recovery software is able to scan entire disk space and restore deleted photos from various storage media. Let's see the deleted photo recovery process. 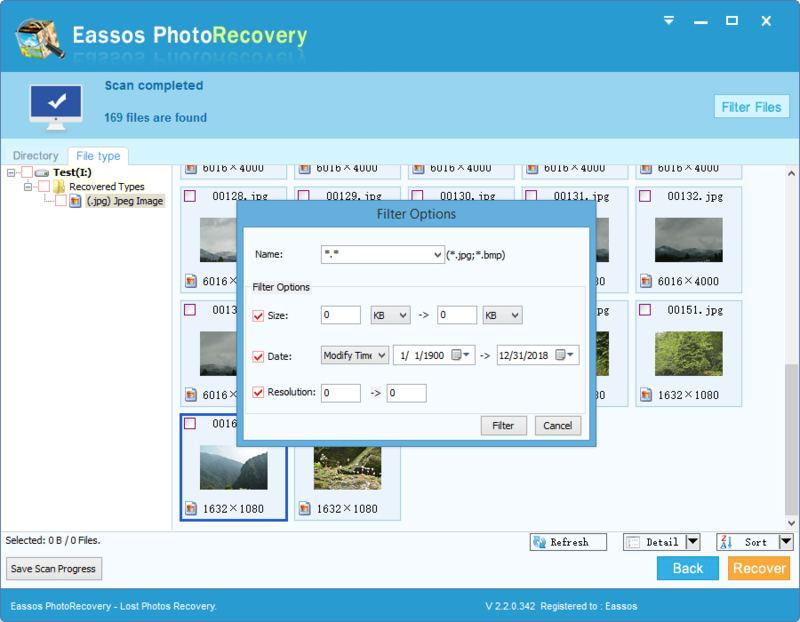 Start Eassos Photo Recovery and you'll see the recovery wizard. Then select drive or partition that stored deleted photos and click "Next" button. 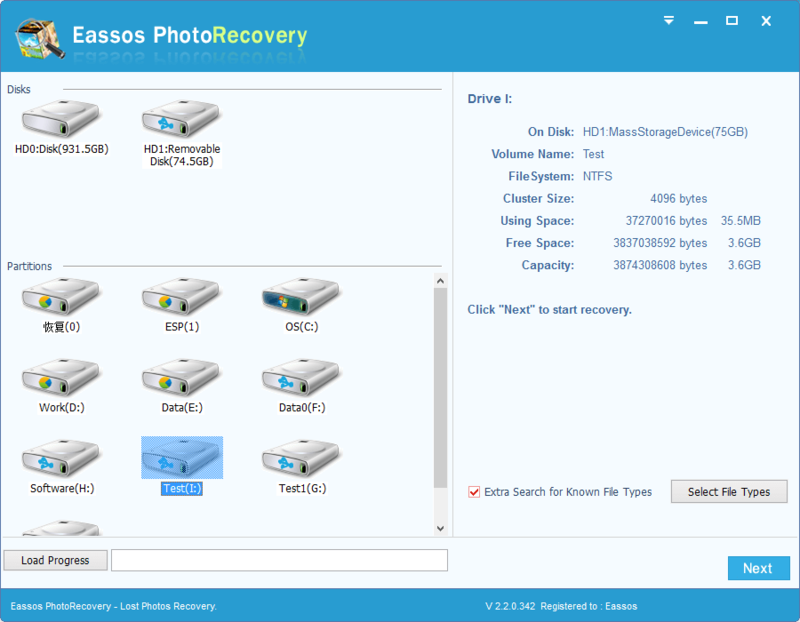 The photo recovery software starts scanning selected storage device. 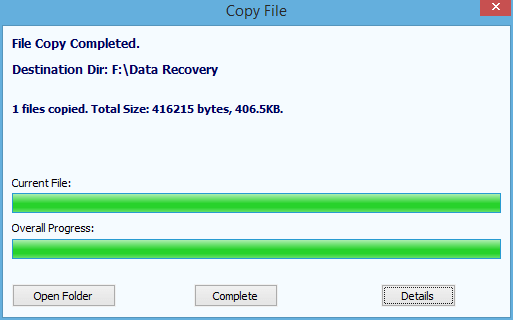 This recovery program displays recoverable files it just finds out during file scanning process. Users are allowed to view and preview listed files. Besides, the file scanning process can pause and resume scanning according to users' schedule. In that case, if you find out desired photos or pictures, you can pause scanning process and save needed files. 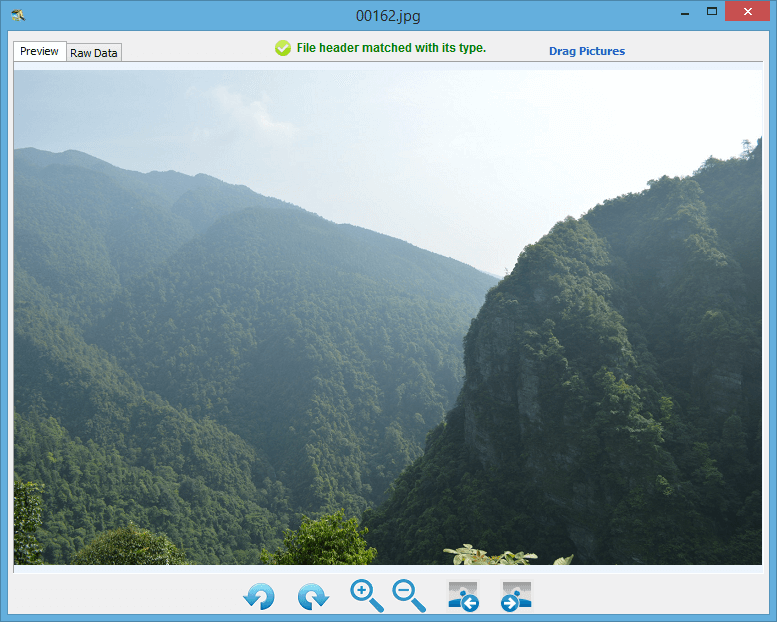 File preview: File preview is available during or after file scanning process. You can click folders listed under the file directory area on the left interface to view thumbnails. Also you can double click any thumbnail to preview picture with original size. 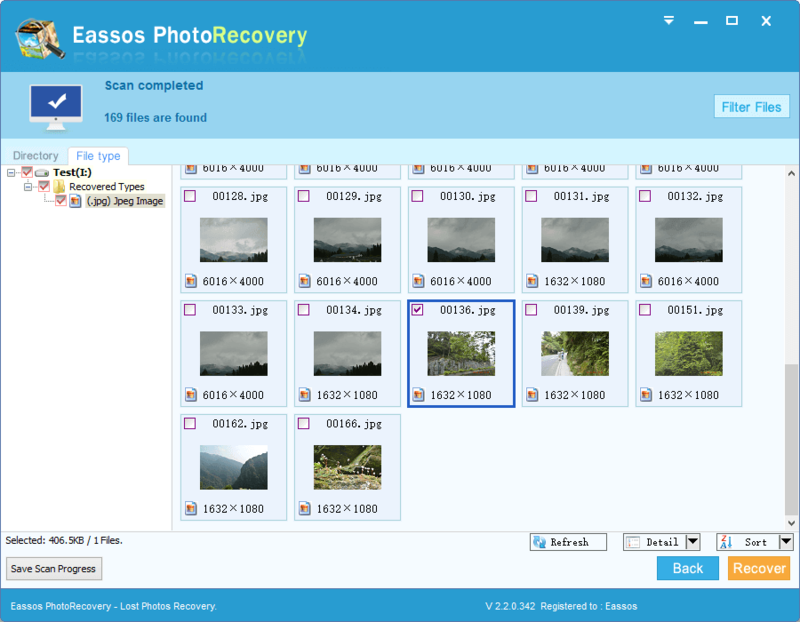 When you find lost photos, you can pause or stop file scanning and save deleted photos: select photos and click "Recover" button. Set target folder to save recovered photos and click "Next" button. Note that the target folder shouldn't be the location that needs recovering files, otherwise lost files might be overwritten. 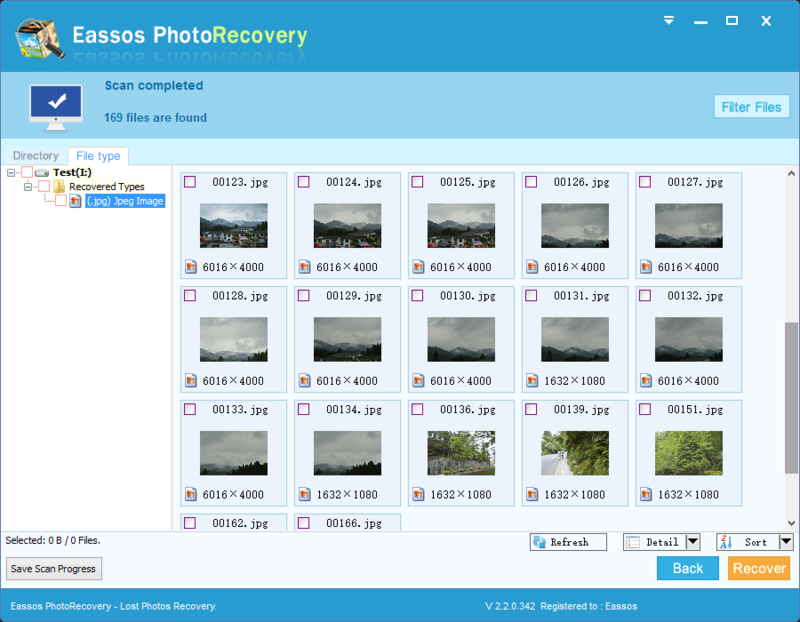 After selected photos are saved successfully, you can click "Complete" button to finish the recovery.